Jaime Baron, 87, of St. James, LI, died on Sunday, October 21, 2018. Born and raised in Colombia, Mr. Baron was orphaned at two years old. He came to the United States in his twenties and learned English and earned his GED at NYU. Mr. Baron would go on to earn his Bachelors’ Degree in Electrical Engineering at NYU Polytechnic Institute. In his early career, he worked on the Apollo program at MIT. 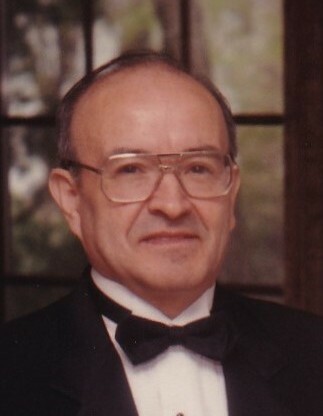 He later worked for many years at the Brookhaven National Lab in Yaphank. Mr. Baron is survived by his daughter, Marian Farese and her husband John of Sayville, his son, Jaime Baron of Huntington, as well as his five grandchildren, John Robert, Michael, Nicole, Rory and Lia. He was predeceased by his wife Marian in 2011. Friends and relatives will gather on Tuesday, October 23rd, 2-4:30 & 7-9:30 p.m. at Raynor & D'Andrea Funeral Home in West Sayville. A Funeral Mass will be celebrated on Wednesday, October 24that 10 a.m. at St. Philip and James RC Church in St. James. Interment will follow at St. Patrick’s Cemetery in Smithtown.